Well-kept Murrells Inlet home with: an open floor plan, fresh paint throughout, wood & bamboo flooring, gas fireplace, granite countertops and stainless-steel appliances in the kitchen, new carpet in the bedrooms, new heating & air conditioning system, new shingles (2013), solar attic exhaust fan, fenced back yard, large patio and more. 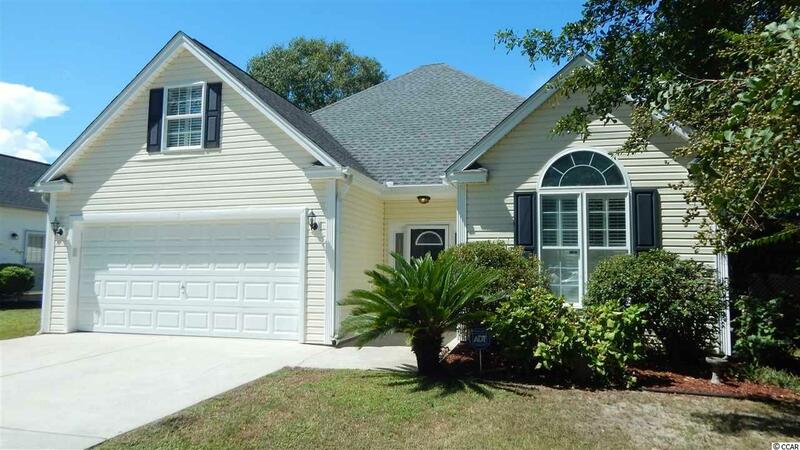 Close to everything the area has to offer- restaurants, the marsh walk, Huntington Beach State Park, Brookgreen Gardens, shopping, hospital/medical facilities, and just a few minutes from the beach! Click the VIRTUAL TOUR LINK to see Floor Plans, HD Video, More Pictures, Maps, and Area Attractions. All measurements and square footage are approximate. Buyer is responsible to verify.